Affordable HVAC Repair From An Experienced Contractor You Can Trust. A-1 Heating and Air has been a Lawrenceville HVAC and heating repair contractor in Gwinnett County since 1978 and we can help you without hurting your budget. All of our repairs come with a 1 year labor warranty because we fix it right the first time and we stand behind our work. When you make an appointment with us, we show up on time and focused on the task of getting you up and running. We can do many repairs the same day you call and all repairs can be done the same day that we start service. We’re so confident in our work that we will not take 1 penny until your repair is finished and you’re completely satisfied. Why Choose A-1 Heating & Air? When you need your HVAC system repaired, start by looking for a company that doesn’t need to make $500 to fix your $50 problem. A-1 Heating and Air respects your budget and your time. We’re not the type of company that makes you wait a week to get help and then takes days to fix your system. In addition to being prompt, we’re also thorough. 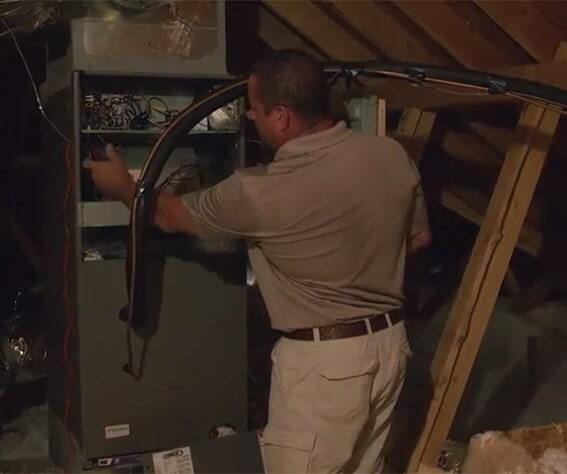 We perform a full inspection on the problem area to understand why your system is failing. We’ll get to the bottom of the issue and let you know what needs to be replaced immediately. We don’t believe in using fear tactics to make you buy something or up-selling you something that you don’t need. We take the time to evaluate your system and let you know about other services and repairs that you can expect in the future. We’re a family owned and operated company that will treat you the way we want our own family to be treated. A-1 Heating and Air has an A+ Rating with the Better Business Bureau because we treat customers the right way and stand behind our promises. Make sure you choose the right Lawrenceville HVAC and heating repair contractor for your needs. "I was impressed. I called expecting a delay. He came that evening. He solved the problem and had it running in an hour. I asked if he could do some cleaning to the condenser unit and he did even though it was already late in the evening. The charges were actually less than I expected!" “Larry is my new best friend. He fixed the leak on my Air conditioner, recharged it. Fast, friendly and professional. Now I'm just "chillin".